Elimination from two consecutive Cricket World Cups as a result of tied matches? 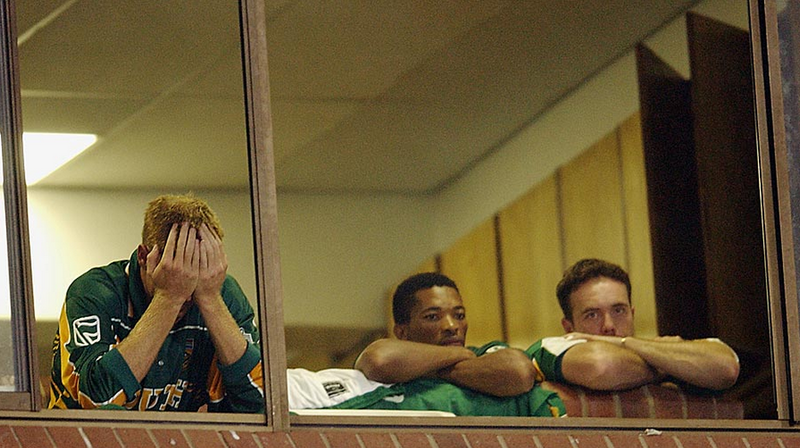 It seemed unthinkable, but that’s precisely what happened to South Africa in 2003, this time as host nation. South Africa needed a win from the Durban match to advance to the Super Sixes. Sri Lanka won the toss and batted and a century from Marvan Attapatu and 73 from Aravinda de Silva helped their team reach 268. With a storm brewing – literally – the host nation knew it had to keep up with Duckworth–Lewis targets in case the match ended prematurely. As the drizzle began to build, Lance Klusener and Mark Boucher helped South Africa reach 229 just before rain paused play. Believing that to be the total needed under the Duckworth-Lewis system, the batsmen and crowd celebrated. 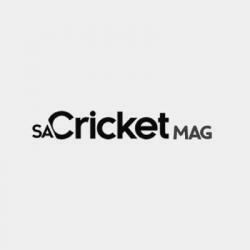 But the total required was actually 230, leaving the Proteas one run short. No further play was possible and the match ended in a tie, ending South Africa’s World Cup dream for a second successive tournament.